Our company has been operating on the paper products market since 1994. From the beginning, we present ourselves as a wholesale company producing packaging and hygiene paper. A significant milestone was purchasing our first production technology in 2000. Five years later we started producing Z-Z folded handtowels and industrial rolls. In the long-term perspective, we focus on developing our own product lines Primasoft and Primasoft exclusive. Our company offers quality products for affordable prices while respecting the environmental policy. Thanks to this philosophy we have customers not only in the Czech Republic and Slovakia but also in other EU countries. Our next development aims at creating our own paper manufacturing machine and broadening our processing capacity. Our team currently consists of 40 employees. The company’s annual turnover is about 6 mil. €. Over the last 20 years of the company’s existence has our name become a well-respected brand in the field of making and producing paper hygiene products. We always do our best to promote our company’s name. The combination of a skilled team, equipment and modern technology allows us to serve every customer on the highest level. We are professionals. High-quality service is our standard. 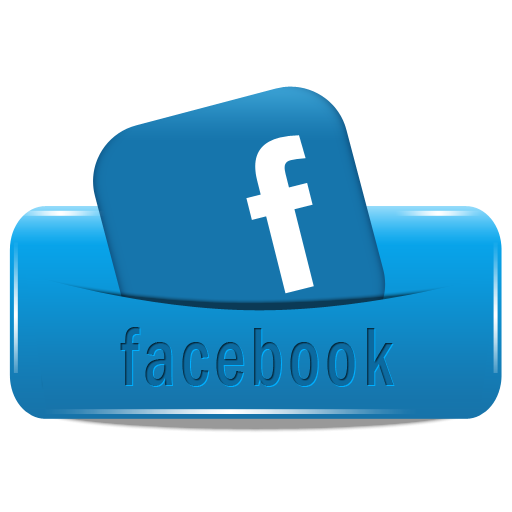 Our goal is to keep our customers, business partners and employees satisfied. Our relationships are built on opened, fair and polite communication. We care about good relationships with the public. Our work is always responsible and eco-friendly. We realise how important giving back in our society is, therefore we are always keen on supporting individuals and charity projects likewise. Essential principles of our company are fairness, honesty and good manners as well as being a trustworthy partner. Our success goes hand in hand with our team’s hard work. BM Plus, spol. s r. o. was established in January 1994 and continued in the activity of a former group of entrepreneurs. The original owners were Ing. 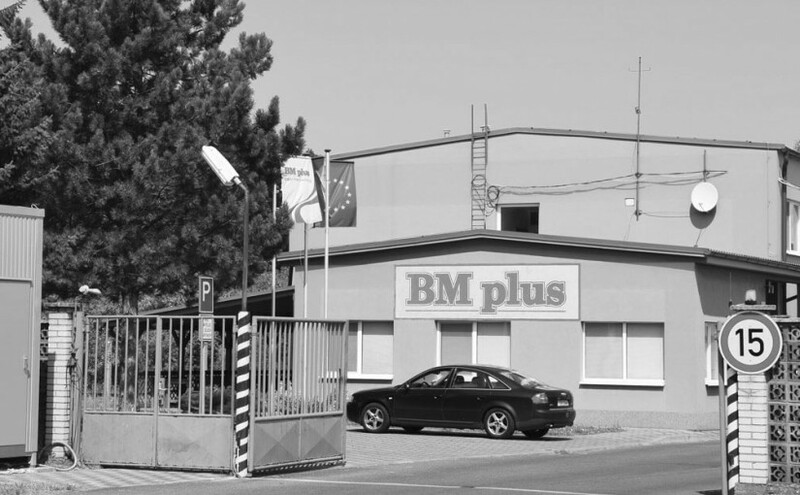 Jiří Bozděch and Zdeněk Matela (that is why the company was called BM plus). Later the company was joined by Josef Šimek. From the beginning our company concentrated on industrial hygiene and packaging products. The company started with close to zero capital in rented rooms. The first offices were in hostel Pozemní stavby Zlín in Tovární street, the first stock was in a former factory of Stavomontáže Zlín. In autumn 1994 the company moved due to its growth to a bigger space in Grohova street, where it eventually built its new offices. As the company grows, the business department is established and the company becomes an important distributor of paper manufactures in the Czech Republic and Slovakia (JIP Větřní a.s., Harmanecké papierne a.s., Papírny Bělá pod Bezdězem a.s., Papírny Přibyslavice a.s.). 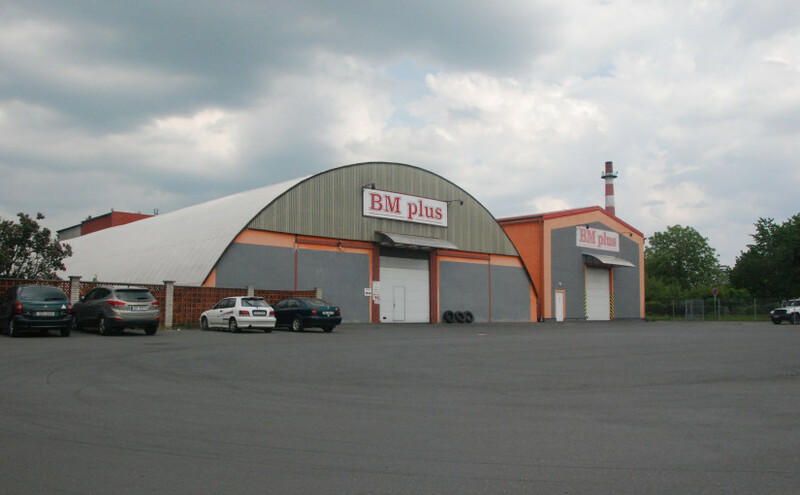 In October 1995 Zdeněk Matela became the only owner of the company. Due to insufficient production area, the company had to rent some more space, i. e. a warehouse in ZNZ-NAVOS in Tovární street. In 2000 our company was able to buy its own real estate. The best option was to purchase a former sugar refinery Všetuly with total area of 3600 m2 in Palackého street opposite Nestlé factory. After renovation and renting another administrative building at NAVOS a.s. grounds, the company was ready to move to its new residence. Larger space made it possible to broaden the company's activities, and in that year the first technology was bought (a cutter for packaging and printing paper and a new technology for manufacturing hygienic papers). The era of ‘converting‘ began. The company manufactured its first Primasoft and Primasoft exclusive products. 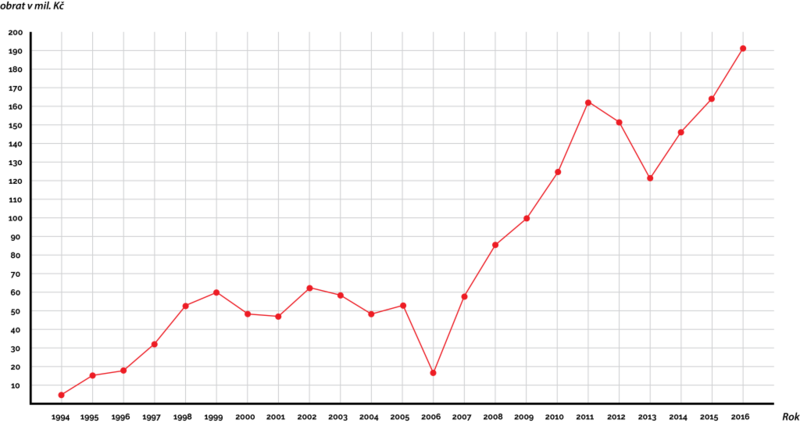 Despite initial difficulties caused by the introduction of production the company is becoming successful. However, on 27 February 2006 the company is hit by a terrible accident - the warehouse is on fire! In less than an hour everything except for the offices is burnt to the ground. The company management must answer a tough questing – will the company carry on or not? After 7 days, the company renewed its activity in rented rooms. Nevertheless, sixteen workers had to leave their job. In September 2006, the company bought three real estates from NAVOS, a.s. company, i. e. an administrative building, a big warehouse and a smaller one, where the processing lines were situated. The company’s services were improved thanks to a complete renovation and modernization. In 2008 the storage capacity was widened and a new production line for protective paper profiles was put into operation. All the products found their customers. This technology was eventually sold, and the company decided to focus solely on paper hygiene. One year later a new machine for hygienic napkins was set into operation. The customers' response was very positive and the company was at its maximum production capacity. 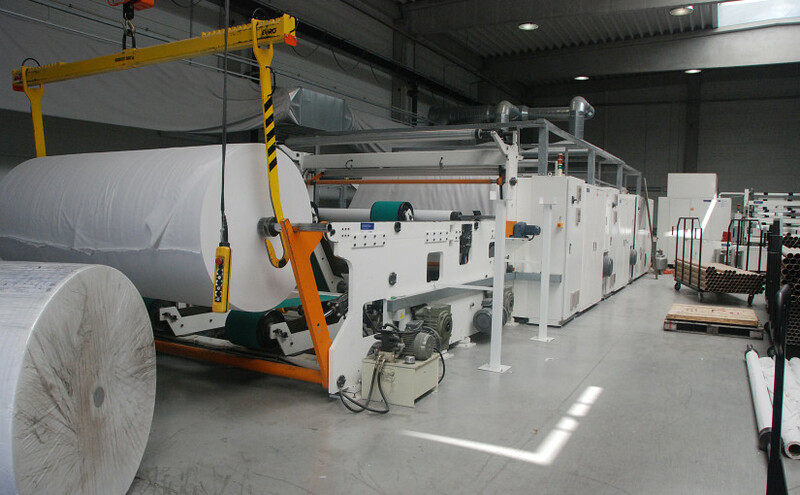 In 2012 the company made a significant and strategical decision to purchase a production line for roll paper hygiene. This financially demanding project was supported by a contribution from the European Regional Development Fund. The production line was launched in autumn 2012 and currently it is a line with the biggest production capacity in the Czech Republic. This technology allows us to make products for households (toilet paper, kitchen towels), but it is mainly focused on industrial toilet paper and towels with a wide range of use. This should be accompanied by creating a paper manufacturing machine and increasing our production capacity. Our customers are given the best quality, sufficient supplies of products and constantly affordable prices.